New Dartmouth College leadership was announced today by the Chair of the Dartmouth College Board of Trustees. Taking over at the helm of the Ivy League institution will be Philip J. Hanlon, PhD. 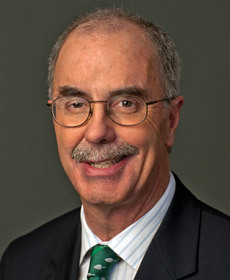 Hanlon, a Dartmouth alumnus of the Class of 1977, comes from the University of Michigan where he currently serves as provost and executive vice president for academic affairs. He is also the Donald J. Lewis Professor of Mathematics at the university. Dr. Hanlon will take office in July, succeeding interim Dartmouth president Carol Folt, who will assume her old gig as the college provost. Folt, as you’ll remember, was named interim president after Jim Kim resigned when appointed by President Obama to take charge of the World Bank. It is no surprise that Dartmouth has turned to an academic with an extensive university administrative background. Many were critical of Jim Kim (though not us at Ivy Coach) for only staying a couple of years at Dartmouth and basically using it as a platform for higher office. Kim also had little university leadership experience — he was definitely an outside-the-box choice (but we believe a good one who brought great attention to the College on the Hill). Dr. Hanlon is also a notable academic in such fields as cryptology, computational genetics, and bioinformatics. He holds a bachelor’s from Dartmouth and a PhD from Caltech. He previously taught at MIT. Dr. Hanlon is the president-elect of Dartmouth College (photo from Dartmouth College). Writes Chair of the Dartmouth College Board of Trustees Steve Mandel in a letter to the Dartmouth community, “A University of Michigan faculty member since 1986, Phil has held administrative leadership positions for more than a decade. As provost, he is the chief academic officer and chief budgetary officer of the university and is responsible for sustaining its academic excellence in teaching, research, and creative endeavors. Previously, as vice provost, Phil was instrumental in putting in place measures to ensure that higher education remains affordable regardless of income. He also led campus-wide initiatives on multidisciplinary learning and team teaching at the undergraduate level and established new policies and processes designed to make more effective use of space and facilities.